Above ground, pools are becoming a more popular option because of how easy they are to remove if needed. You can also get any size or shape you want to fit the space in your yard and the price tag is significantly smaller. 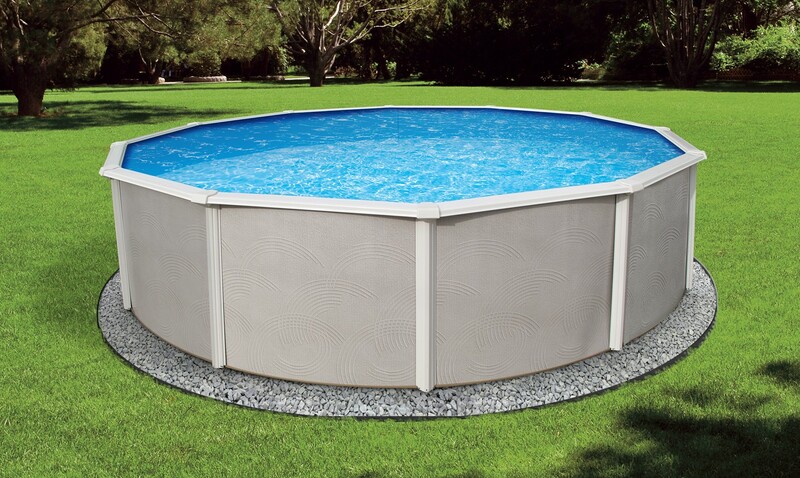 Above-ground pools also require less maintenance than traditional pools. What pool owners often wonder about these pols is whether or not they require fencing in the same way that in-ground pools do. Accidental drowning can occur in any pool, so the bottom line is that fencing is a must. Even if your city does not require it, it is the best option for ensuring the safety of your friends and family. When it comes to above-ground pools, the best fencing to get is mesh fencing. Like the pool, these fences are also temporary and easy to remove if needed. It is important to keep the overall height of these fences in mind before buying. Despite the pool being above ground, the legal pool fence height requirements must be the same. You must have a fence that is at least four feet tall and if the body of water is at least 18 inches deep you must have a fence. Mesh pool fences can be made to any size so will accommodate whichever above ground pool you have. Mesh pool fences are easy to install and maintain, just like the above ground pools they are guarding. The material is also such that you don’t have to worry about the fence blocking your view or taking up the entire yard. In the event you decide to change the size of your pool, mesh fences are easily removed without costly removal procedures, and a new size can be installed right away. 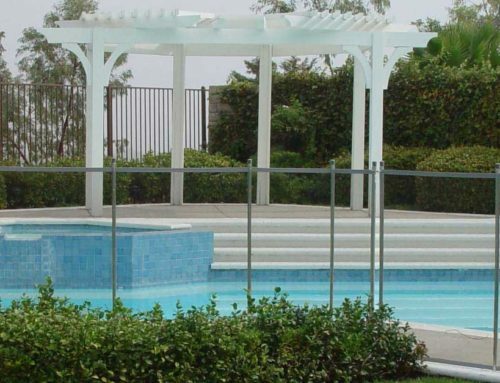 Fences for above-ground pools have the same fencing laws as other pool fences. Some states may even require that you post signs for your pool. Signs are a necessity for both public and residential pools because of the potential liability to friends and strangers. It is also because of liability issues, that all pool owners should carry pool insurance. In many cases, insurance companies advise pool owners to up their policies in the event of a tragedy. By installing pool fences and posting signs, along with carrying the appropriate insurance, you can protect yourself and others to the best of your ability. Any pool fencing must meet the legal requirements before any pool insurance will be approved by an agent. They will want proof of all safety precautions that are in place before covering you. The types of signage you may want can include information about swimming, diving warnings, sanitation rules, occupant capacity, shutoff labels, restricted areas, and emergency number listings. The same ones you see around public pools will benefit residential pool use too. Finding customizable signs is on option or you can even make your own. Having signs and fencing is the best way to protect people and protect yourself. 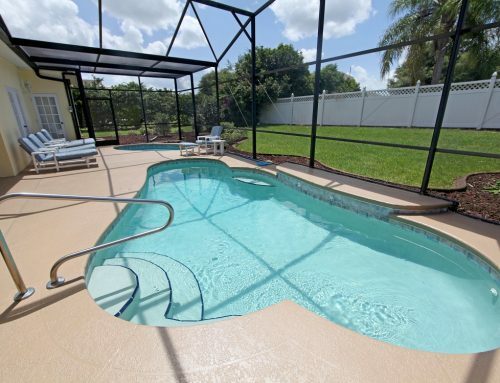 Choosing an above-ground pool is a great way to enjoy swimming fun without too much expense. As with an in-ground pool, the danger of drowning is the same and safety should be a number one priority. 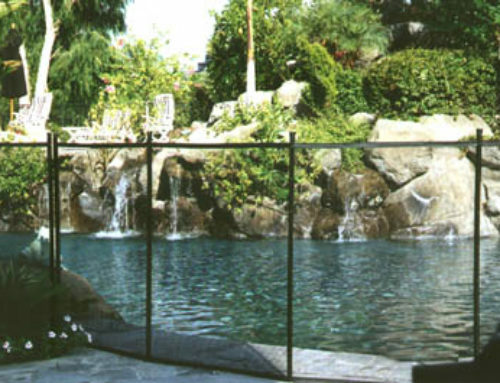 Invest in a pool fence for your pool and know that mesh fences make perfect companions for temporary above ground pools. Check the local laws regarding fences and make sure your pool is safe as well as fun.